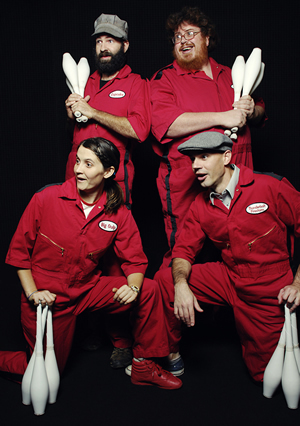 Forty Fingers & A Missing Tooth are Asheville, North Carolina's premiere juggling troupe. OK, we're Asheville's only juggling troupe, but don't let that fool you! Sure, we could win your adoration with our stunning good looks, charm, and wit alone—but throw in some world-class object manipulation and you'll never think of love in the same way. So sit back, dim the lights, and enjoy. Did we mention how amazing you look?